I am so excited to offer a new service to health coaches and writers alike! With my day job, I’m a copy editor for a very popular website. 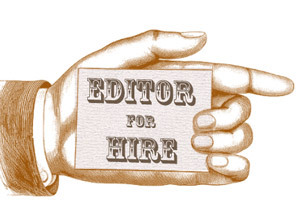 I have come to love this job and found that I really like to edit, write, and proofread! I have over 5 years of editing, proofreading, and writing experience, and I want to share this with other people who may need these services. So here it goes. ELITE HEALTH COACHING IS NOW OFFERING WEBSITE AND TEXT EDITING FOR HEALTH COACHES AND WRITERS! My prices are very comparable, plus I have the experience to back it up! I’ve written three recipe books. I’ve had numerous articles published on MindBodyGreen, American Health Journal, Curejoy, and more! Manuscript pages contain 250 words per page per industry standard. These services are $40.00 per hour. I specialize in health and wellness and news articles. However if there is something specific you are looking for, I’m more than happy to collaborate to get you exactly what you need and what you are looking for. I am located in Utah, but thanks to the wonderful world wide web, we are able to communicate and work with people all over the world. Once you submit for a quote, we will work together on deadlines, ideas, and anything else you are looking for to make your project the absolute best that it can be! All payments are handled through PayPal payable to sadie@elitehealthcoaching.com. I am here to help and want you to be successful in all of your ventures. If this sounds like something you are interested in, please let me know by filling out the contact information below! I look forward to working with you.